Before starting, set the hiking poles to 115cm height. 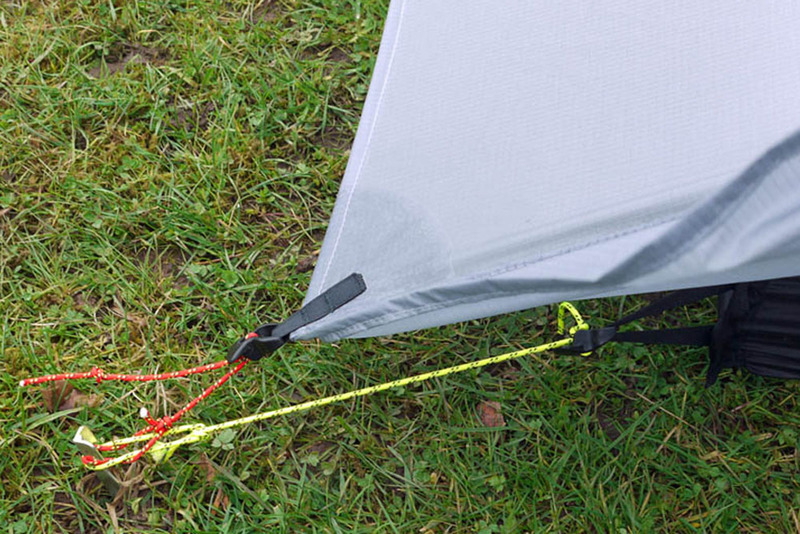 Unzip the flysheet doors on both sides and loosen the guylines at the line-locs at the 6 corners. 1 - Lay out the flysheet on the ground and peg the 6 corners at the tie-outs. The panels should not be pulled tight, there shuld be just a little slack. 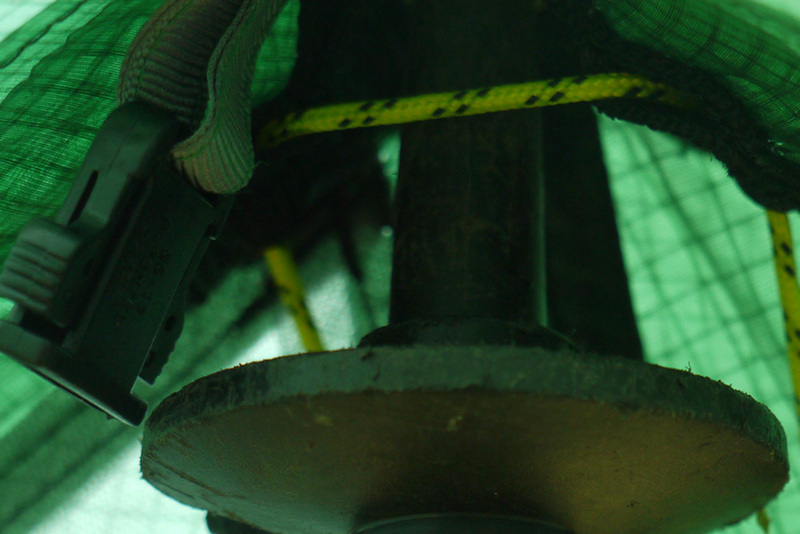 2 - Insert the pole tip into the eyelet on the underside of the flysheet apex. Stand pole upright while holding the apex guyline. 3 - Attach apex guyline to the peg at the doors and tighten the line loc. A lot of tension can be put through these guylines to make the ridge go taut and make the tent very stable in strong winds. 4 - Tighten the line locs at all 6 corners. The apex guylines can share the doors peg in normal conditions. 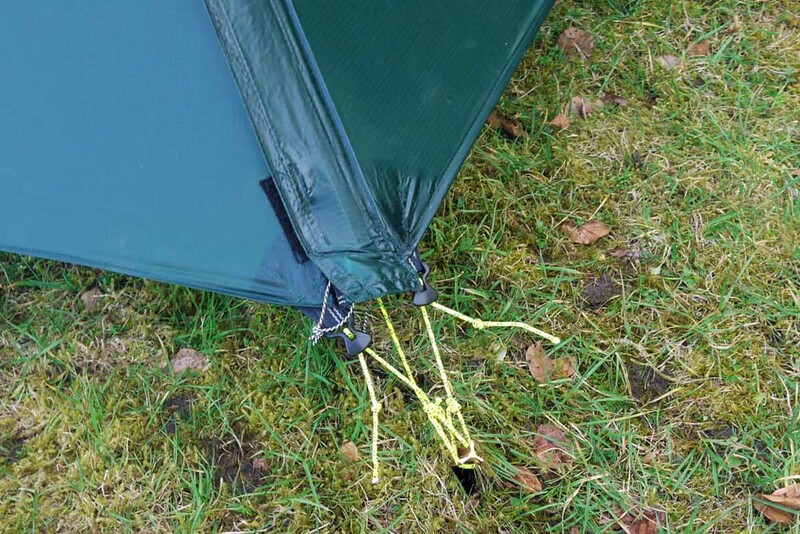 In strong winds, an additional peg can be used to distribute the loads. 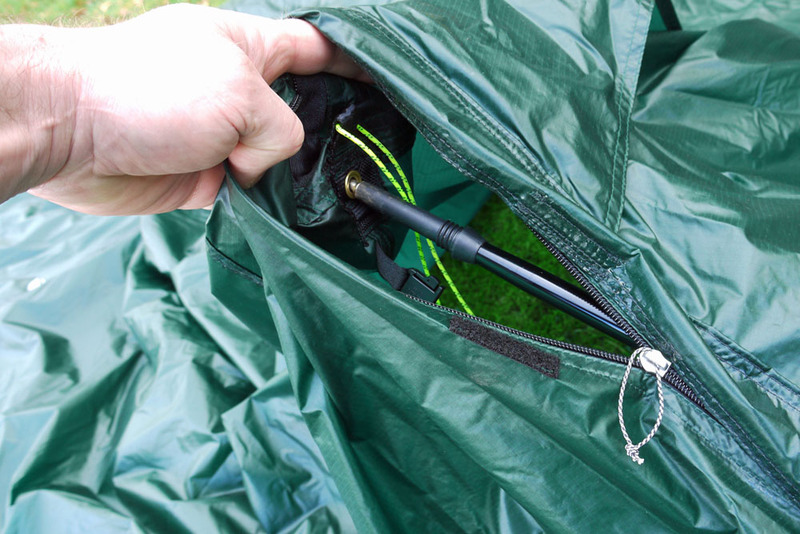 When opening or closing the zip, both door guylines should be used to reduce the tension on the zip. 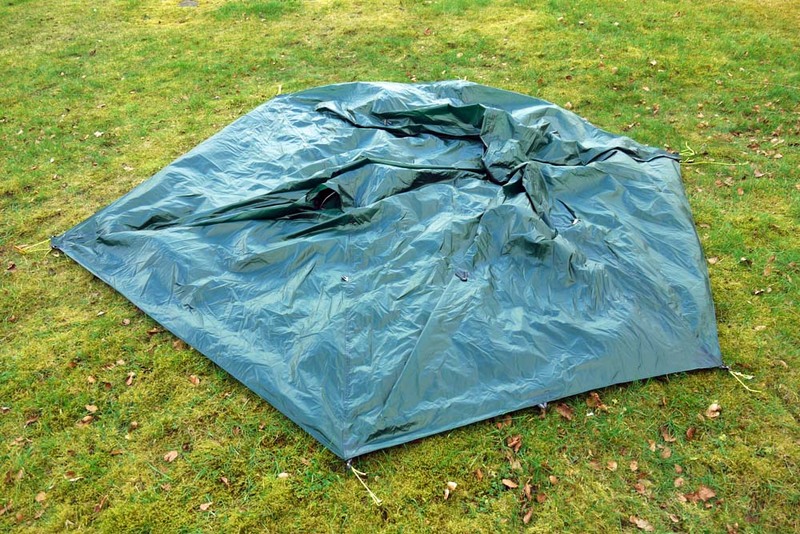 5 - The inner tent is attached by first inserting the 2 clips on the ridge into the quick release snap buckles on the underside of the flysheet apex's. 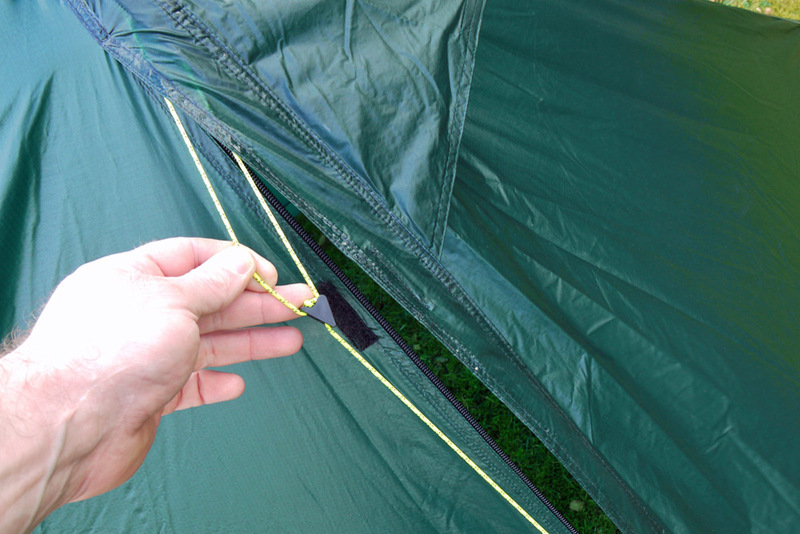 6 - The 4 corners of the inner tent bathtub have guylines that loop through the flysheet corner tie-out guylines and around the peg. They are then tightened with the attached line locs. * Key to a good pitch is getting the end panels at the correct length. When the poles are inserted at the apex at the specified height, and the end panels are stretched out and pegged, this will be the correct length. The doors just need pulled out at the sides and pegged. Pitching the tent wth the inner attached is a simple way of achieving this, the inner tent acts as a template once the right length on the bathtub corner guylines has been dialled in.